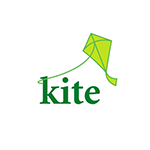 Dnet | Kite Bangladesh Ltd.
Kite Bangladesh (restructured) envision a society where everyone has access to quality education, affordable resources, and opportunity to build capacity for ensuring sustainable livelihood. To make up the vision Kite Bangladesh is focused with a mission to serve the society through providing innovative and affordable education products & services, for stakeholders ranging from children, youth to adults for bringing changes towards quality life. We put Innovation and technology as prioritized tool to reach our mission. • Opportuning a learning environment with innovation tools and create a connectivity among assorted beneficiaries to ensure a competitive learner community to help make a knowledge based society. • Disseminating ICT and digital literacy to 21st century learners for making them accessed into lifelong education. Kite Bangladesh Limited, primarily started in November, 2010 with the motto boosting Quality Education for All by integrating different Japanese teaching-learning methods in Bangladesh contexts, and worked in the spectrum of Early Childhood Development, counselling & parenting, language courses, e-learning materials, toys and pictorial story books. The organization has been recently restructured to concentrate majorly in developing the areas of formal and non-formal education of the country. Kite has been implementing a number of educational projects. Computer Literacy Program is the pioneer among all sort of projects, an award winning non-formal model, which is incessantly running to make underprivileged youths in rural Bangladesh- digital literate. Another project named Smart Classroom supported a paradigm shift from traditional “teaching by telling” to “distributed learning” that ultimately enables “learning by doing.” It uses multimedia content CD and Internet, where available, a laptop and a widescreen monitor in the classroom to simplify the teaching-learning. Upgradation of the contents is continuous process, and recently the number of content reaches to 1100. Connecting Parents is a project through which schools get access to a web based platform where school can update and maintain database of students’ all sorts of performances, and parents would be able to get notified over texting directly from the web-based platform. Dnet Global team led by CEO Ms Sahana Farid, called on Ambassador Mohammad Ziauddin at his office on October 19, 2015.